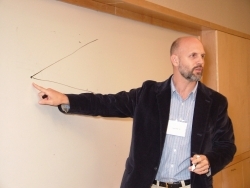 The Kheel Center on the Resolution of Environmental Interest Disputes, which focuses on environmental interest disputes of critical importance to communities, states, and regions that require innovative resolution strategies and forums. Students may apply for paid positions or positions for academic credit, and may also participate in numerous volunteer opportunities within the programs offered at the Center. During their first year, students may volunteer at the Center and stay on for paying jobs as associates during the summer. In their second and third year, students assume leadership positions and help manage the Center. They perform a variety of tasks ranging from writing research papers and legal publications to assisting with the mediation of land use conflicts. The Center offers an opportunity for Pace students to work as fellows conducting research on land use practice topics, with an opportunity to be published in academic journals and other scholarly publications. 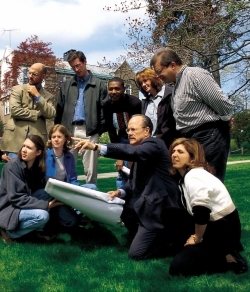 The hard work of Pace students has contributed to many of the Center’s publications, including its most encyclopedic work: Well Grounded: Using Local Land Use Authority to Achieve Smart Growth. The student-run Land Use and Sustainable Development Law Society of Pace Law School is dedicated to exposing students interested in the practices of real estate, land use, environmental law, and alternative dispute resolution to both practical experiences and academic opportunities. The Real Estate & Land Use Law Alumni Group provides Pace alumni with a connection to the Center that lasts beyond graduation. The Group also offers mentoring for current students and networking opportunities for alumni working within all fields of law relating to land use and real estate.